So much fun and so easy to do! 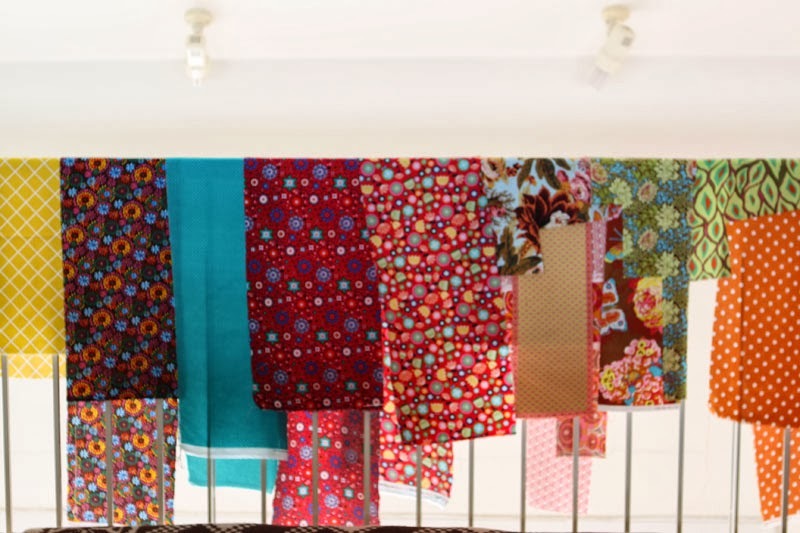 First of all I iron all my selected fabrics. Then I look for scraps suitable for my project. 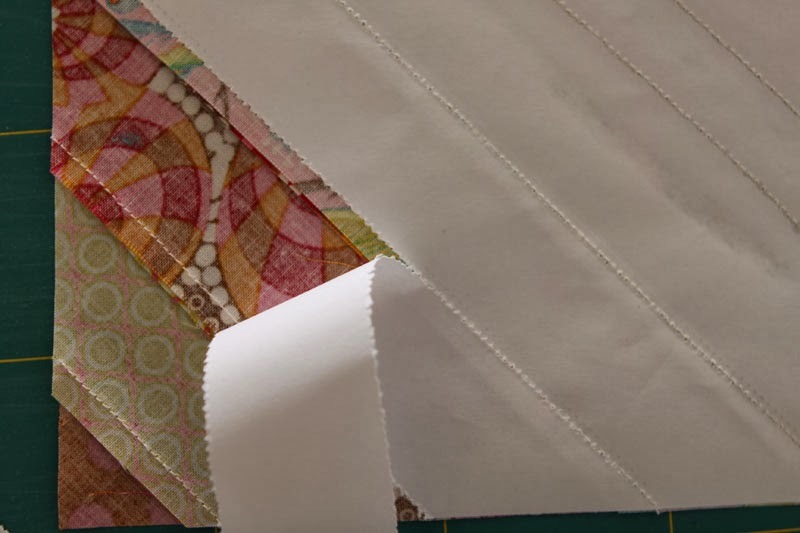 I cut strips of variegated width (between 3 and 5cm). I cut a sheet of paper (for ex. printing paper) 21/21cm. sticking tape, that I stuck from one angle to the opposite angle. Then I lay the first strip on it. 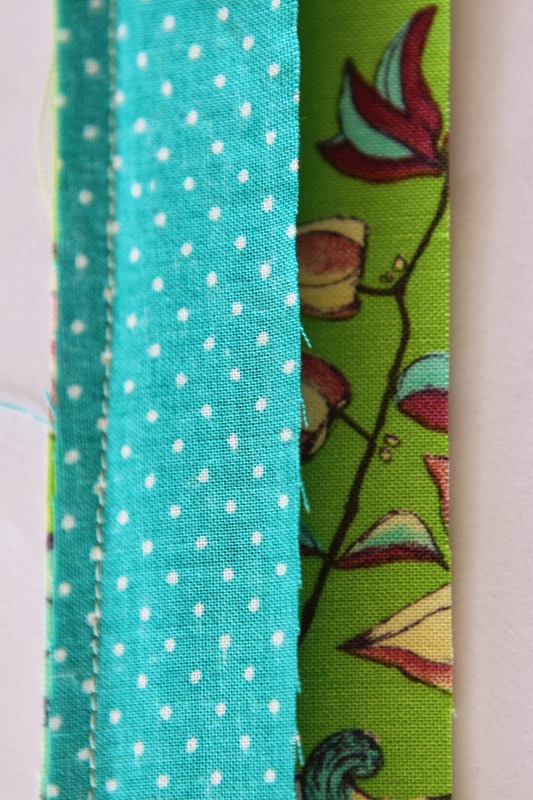 I sew the second strip right side against right side. easily the back paper at the end. of the strips, on the other side of the central strip. I turn my block and cut each side along the paper. Last step : throwing away the paper. This is very easily done! and you will go on for a whole String Quilt! If ever you have a question to ask me, please don't hesitate! In my next post I will show you the progress of my string quilt. Greetings to everybody! What a great tutorial! 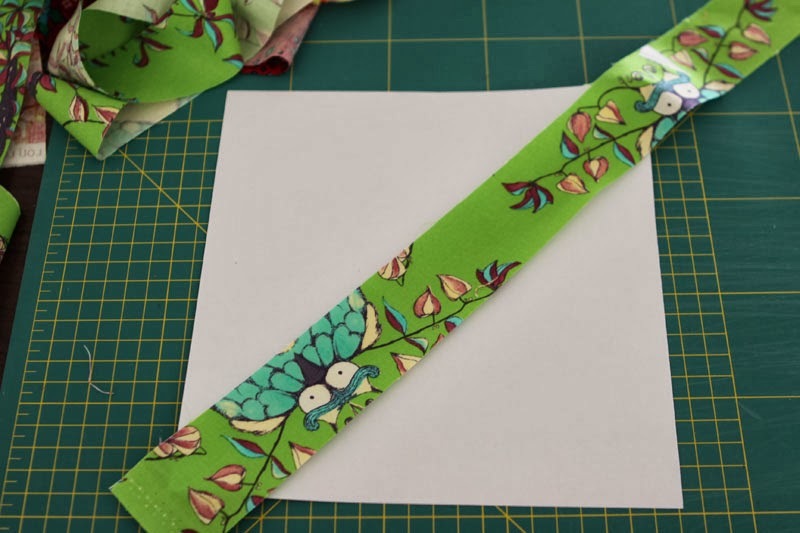 I love the idea of the tape instead of pinning. Did you have any trouble with it melting when you ironed? 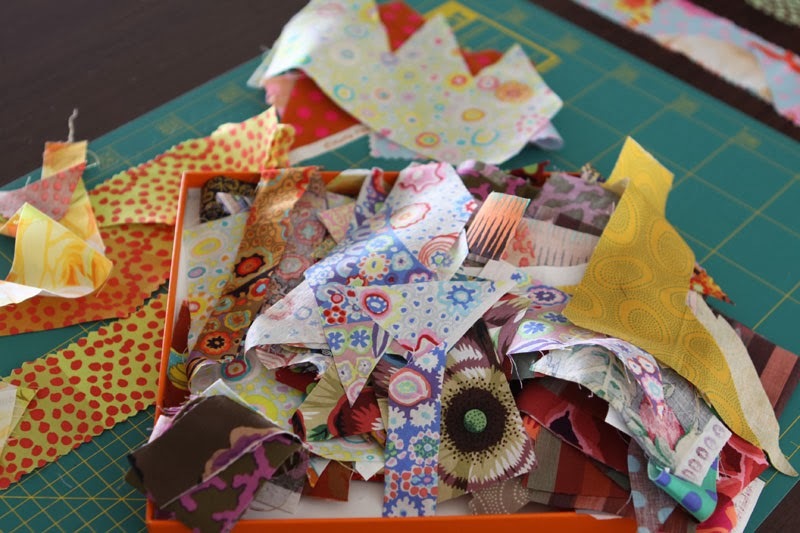 Your block is lovely, great colors and fabrics, can't wait to see the quilt! Thank you Diane! 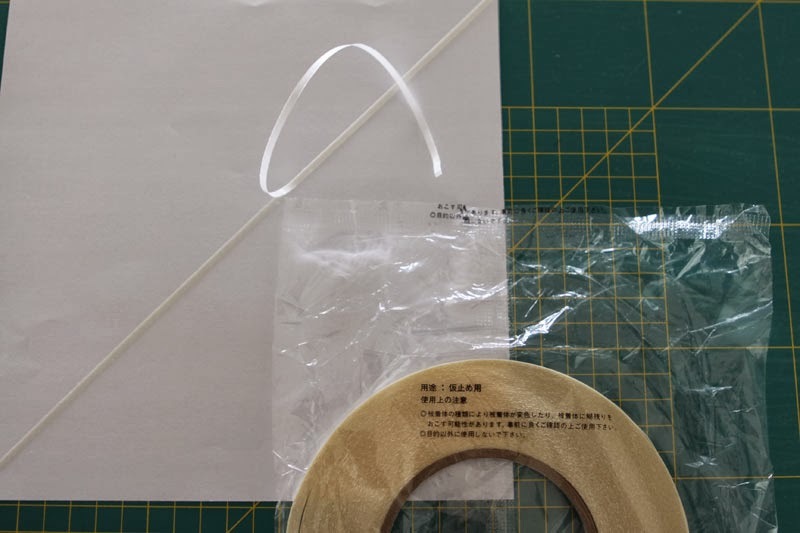 In fact I had no problem with ironing on the tape, it did not melt and I could take it easily away with the paper at the end. 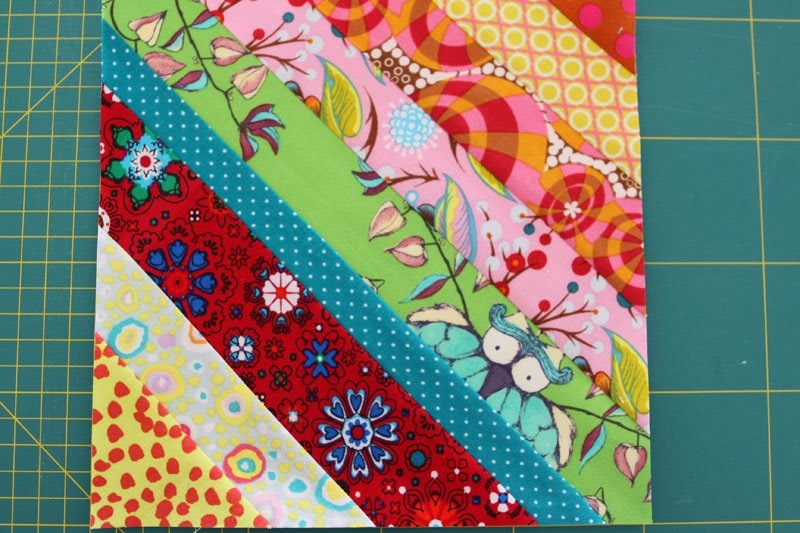 The style of the quilt will be "bohemian" as you can already gess! Thanks Christine. This looks such fun and minimal measuring if at all lol. Great colours. Would love to follow you if I may? With pleasure! Thank you for becoming a member of my blog. I lie your tutorial. Very clearly presented. Shared on my Google circles. The tape is a good idea. Thank you so much Yvonne and Mary, pleased you like my tutorial! I love string quilts and have made many. 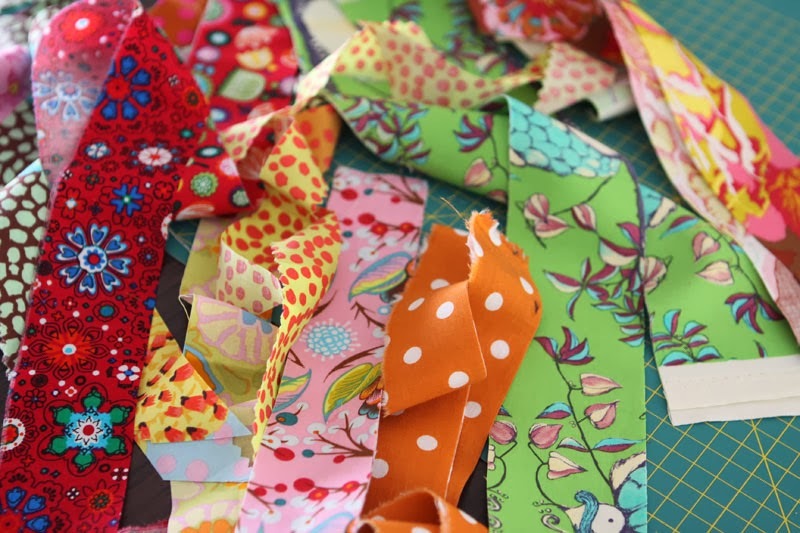 It's a great way to use up scraps too. Thanks Christine for sharing this on my Weekend Link Party. 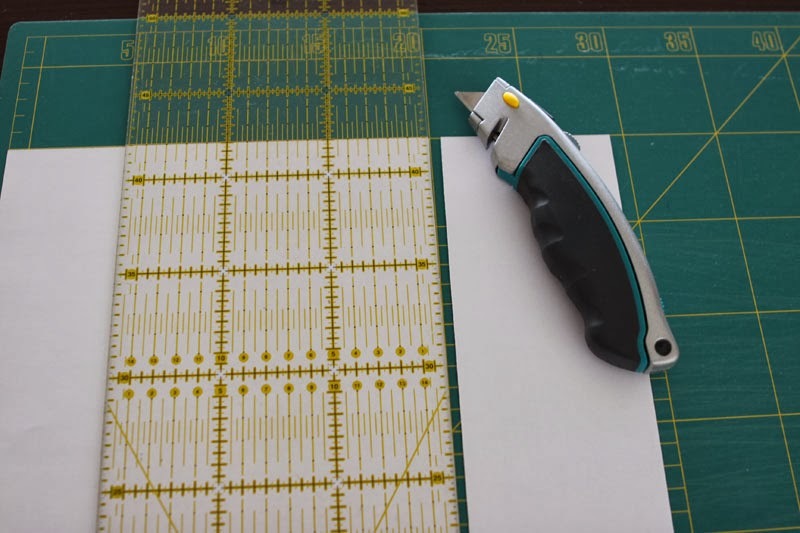 This is a great tutorial, I never knew about the paper part at the back - I can see that it helps to line up the first stripe in order to create that neat effect when the blocks are put together? So great. Aughhhh NOW i get it!!! Thanks for the tutorial! Great tutorial - thanks for sharing! 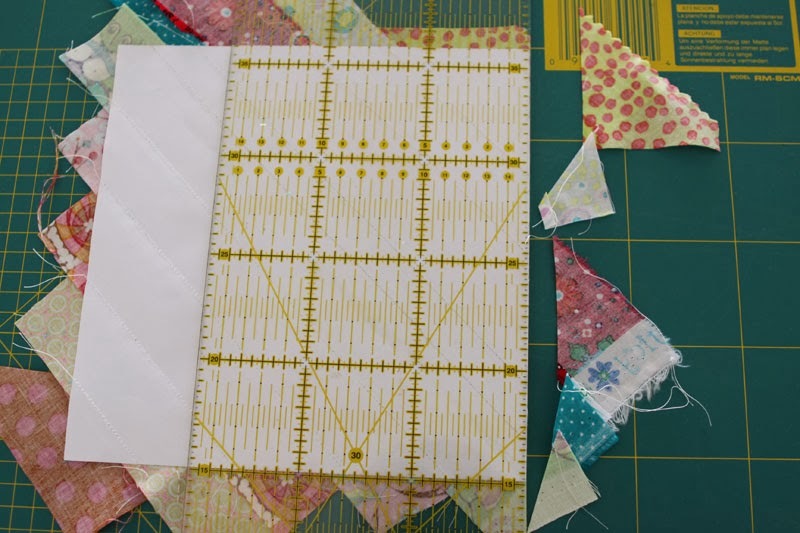 Would you suggest using the paper technique if the plan is to hand stitch - not machine sewing? Hi Brenda! Thank you for your visit! 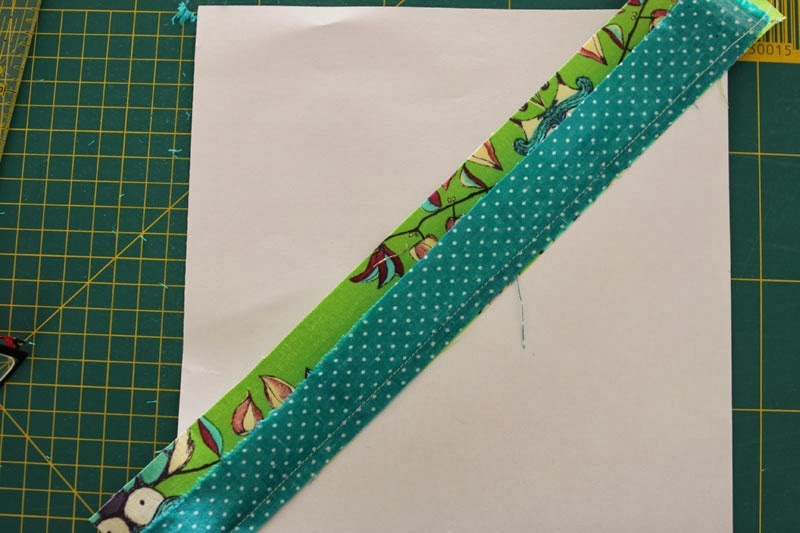 I would not at all suggest using the paper technique for hand stitching. Where can you find the tape? Is there a certain band you used? 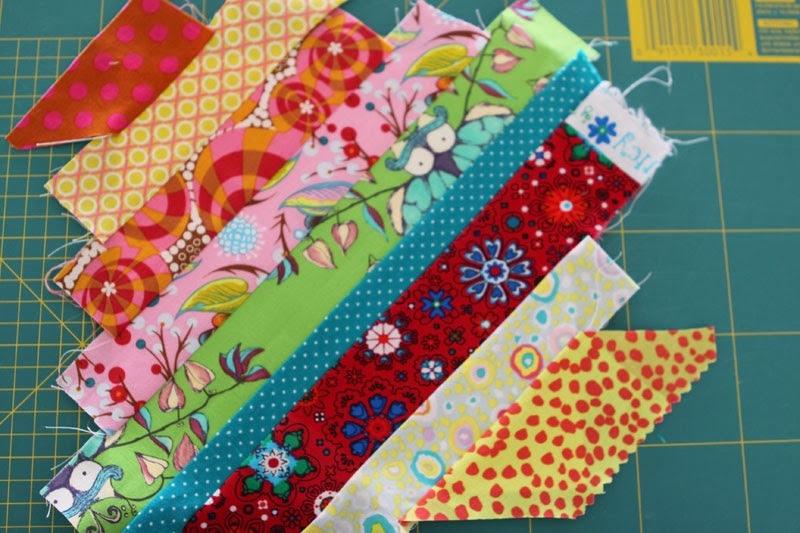 I love your tutorial before I would just throw my scraps away now I keep them all because I can now make two really fun blocks your string block and I learned how to do crazy squares they are both so much fun. Again thank you for your tutorial.